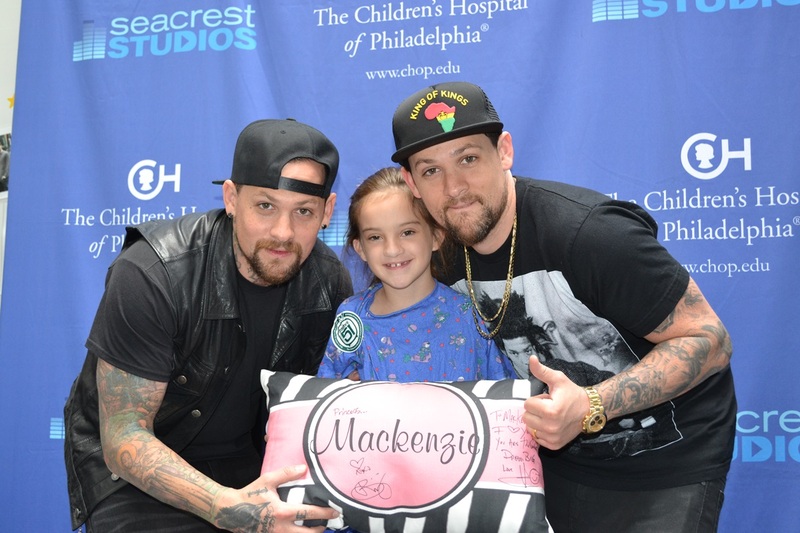 Recap Written By Kevin Shirley, Seacrest Studios Intern Seacrest Studios at the Children’s Hospital of Philadelphia was treated to a special visit from Benji and Joel Madden, or as they call their new musical act, The Madden Brothers. The twin brother musical duo sat down to have a fun, good-spirited talk with the patients in the studio. The brothers rose to fame in the 2000s as the co-founders of the pop punk band, Good Charlotte. The Madden Brothers have described their current project as a “new musical adventure,” borrowing inspiration from iconic bands like The Beach Boys and The Eagles. However, the duo does not limit themselves to just working on their own music. They also run Madden Brothers Studio in Los Angeles, where they have produced songs for other musicians, including recent CHOP guests, Five Seconds of Summer. With a new tour coming in 2015, it was remarkable that the brothers could make time in their busy schedule to visit Seacrest Studios. But, the life of the Madden Brothers is not just work. The duo also discussed how they like to spend their free time. Joel, a father of two, expressed joy for playing Legos with his kids and watching cartoons. The brothers also listed some of their favorite cartoons, including current hits like Ninjago and the new Teenage Mutant Ninja Turtles series, as well as old classics like He-Man and Tiny Toons. Joel hopes to take his kids to see the new Ninja Turtles movie as soon as possible. Before leaving, the brothers left a bit of advice for aspiring musicians: “dream it, believe it, and practice.” CHOP thanks The Madden Brothers for bringing inspiration to the wide-eyed dreamers of the hospital and hopes for further success in their exciting musical career.